This volume finally explains the backstory-- how the locks and keys were made and how high the stakes are. I wish this had been introduced a bit earlier in the series, but other than the timing, I really liked this volume. 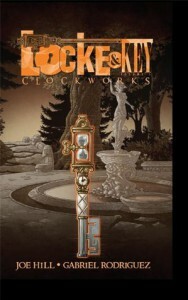 The clockworks were interesting, the history was fascinating, and it did a good job of setting the scene for the final installment.